This entry was posted in Ukraine and tagged Azov, counteroffensive, Donbas, Mariupol, Russia, Ukraine by Julian Röpcke. Bookmark the permalink. Interesting, I wonder where the Russians caught those POW’s though. Nice to see that even someone in UK army is able to do something. I think whole UK army lead should be changed towards active leaders. Sometimes it is hard to understand that is UK army leaders really trying to fight this war or not. Like I have said UK army can make best of it with elastic warfare where is no fixed stations. Agaist that kind of enemy Russian artillery and rocket batteries are not efective because they need targets and pinpoited locations. If frontline is all the time moving they cannot concentrate massive fire support in small areas and be accurate. 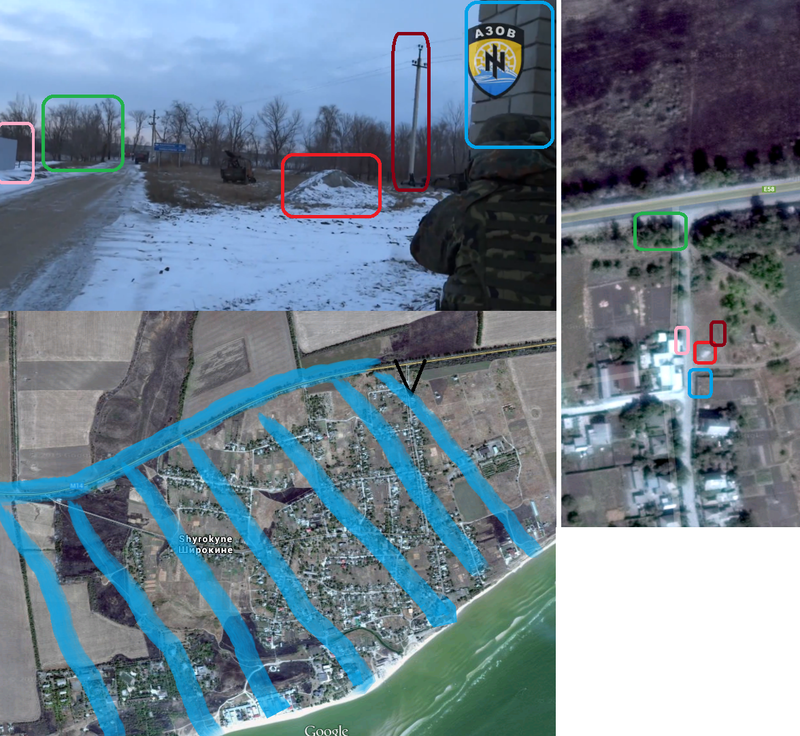 This Azov attack demonstrates what you can do even small force when you know how to fight and move. Northern part UK could actualy cause huge casualties to Russian troops if they would use moders warfare tactics. Most importantly they would not lose so much men and life’s of soldiers. If the situation in the north is truly collapsing, maybe the Ukrianians could promote each Azov company commander to batallion commander. Then transfer the men with picked NCOs to the North, where they assume command of say, four regular army Batalions. They then use their talents to either break out, or lead successful local counter attacks against rebels in key villages. Rebels did not have serious presence in those villages. 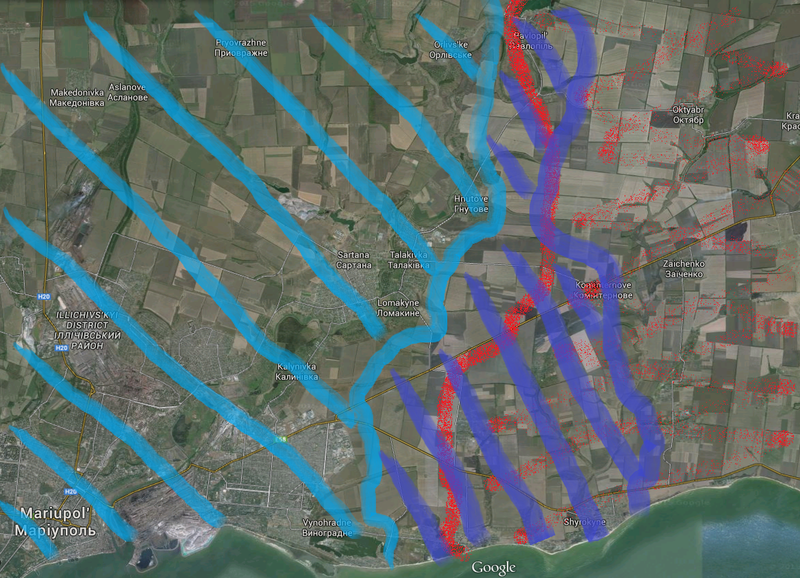 They were too close to Mariupol(and fortified arty positions). So whole rebel control were just scout squads on patrol. This is why you do not see photos of destroyed armour/equipment. Or, the rebel units in the area were part of the their unenthusiastic “B team”. Once they heard about the Ukrainian counter attack, they piled into their armored vehicles, grabbed what ever civilian cars they could find, and fled back to Novoazovsk. Both the Ukrainians and Rebels rely very heavily on a small number of truly capable “A team” units. The mix of “A team” and “B team” on both sides seems to facilitate very rapid advances, panicked retreats, and a terminal building held by what, a reinforced “A team” company? holding out for months.